Mirae (“Future”) Scientists Street, located in the center of Pyongyang, directly next to Pyongyang Station adjacent to the Taedong River, is nearing completion. 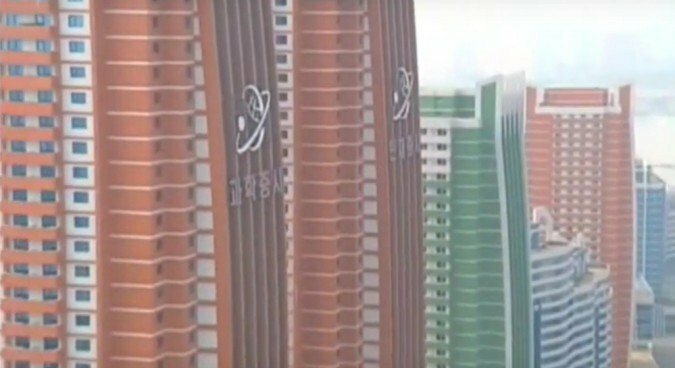 The street was introduced in September 2014 when state-run broadcaster Korean Central TV described how the streets were designed to be filled with “high rises that can hold 500 households, a day care center, a kindergarten and various buildings aimed at promoting residents’ welfare,” the KCTV said at the time. 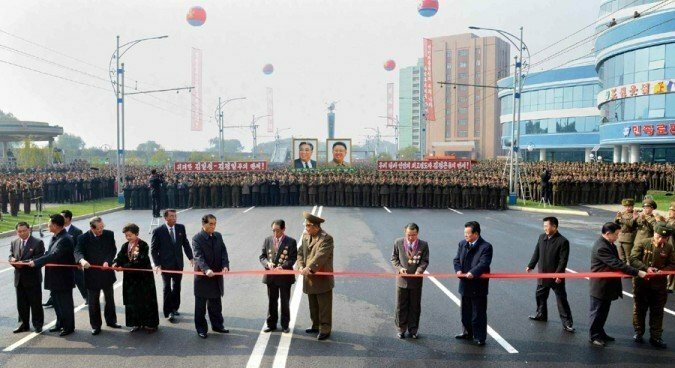 Wednesday’s edition of the state-run Rodong Sinmun newspaper wrote that the construction of whole street took “less than a year,” confirming NK News‘ estimation was very close. 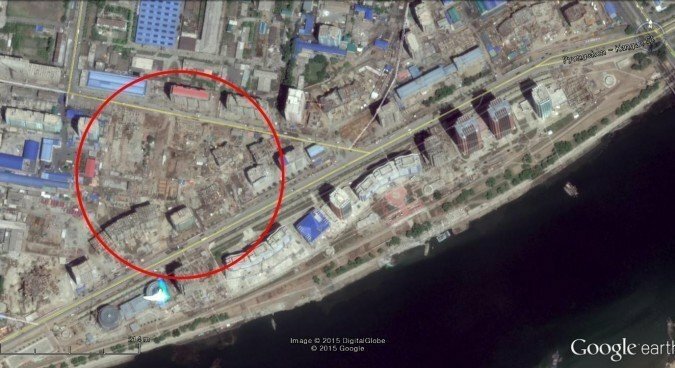 NK News previously reported that North Korean construction crews might be able to finish the exterior of the residential buildings in 307 days or less. 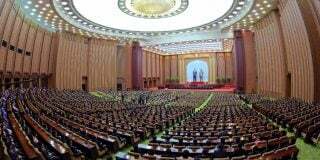 Wednesday’s report emphasized the term “Pyongyang Speed,” the idea that North Korean workers can produce miraculously fast construction speeds. “Pyongyang Speed” was first used in 1958 to commemorate the speedy reconstruction of the capital in the years after the devastation of the Korean War. 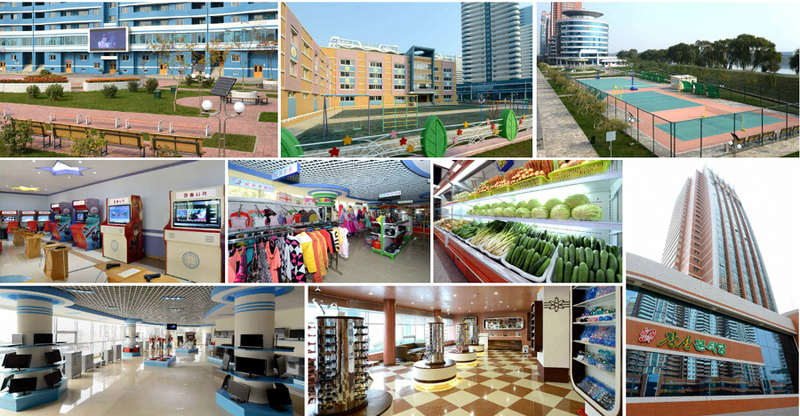 KCNA photos display Mirae Scientists Street’s park, kindergarten, tennis court and numerous stores and restaurants. 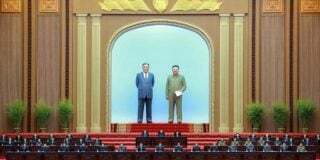 KCNA reports revealed that one of the buildings is 53 floors high, designed with an artistic exterior and guided under Kim Jong Un’s orders. 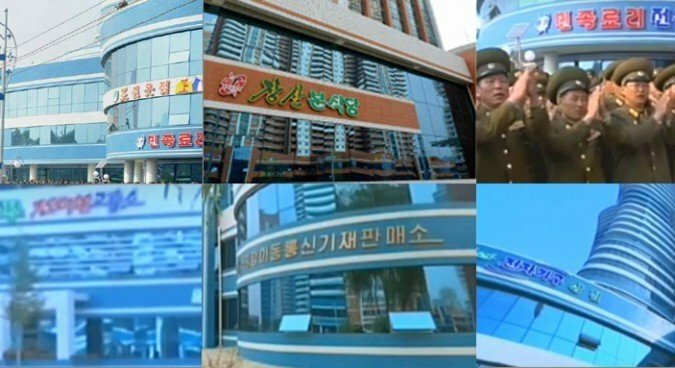 The street also had a kindergarten, daycare center, school, stores, sports park and more, according to KCNA. 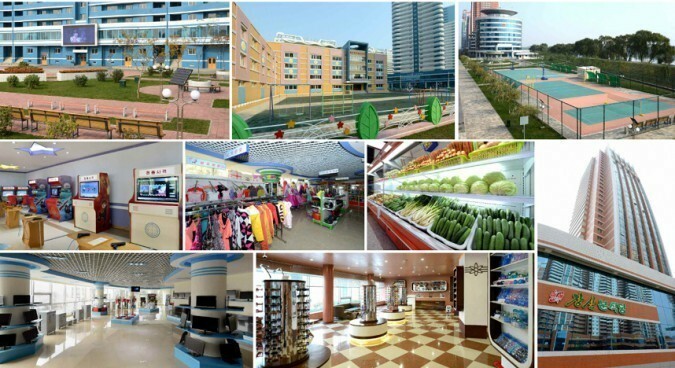 KCNA’s report showed numerous stores for residents’ welfare. State media briefly mentioned that the street has “numerous stores and facilities,” and photos revealed at least six new facilities including a clothing store, Korean traditional food restaurant, cellphone store and electronics store. The fact that at least two new electronics stores opened on Mirae Scientists Streets indicates the increasing popularity of electronic devices among North Korean consumers. “Footage shows that there are at least two electronics shops on that new street alone,” said Jeong Eun-mee, economic researcher from the Institute for Peace and Unification Studies. “Our research institute’s years of accumulated data show that the purchase rate of electronic wares and communication devices in North Korea has increased rapidly in recent years. Cellphones are now used as the index in identifying the gulf between rich and poor in North Korea. “For many young North Koreans, the cellphone is now one of the ‘wannabe’ type of items they hope to get,” Jeong said. 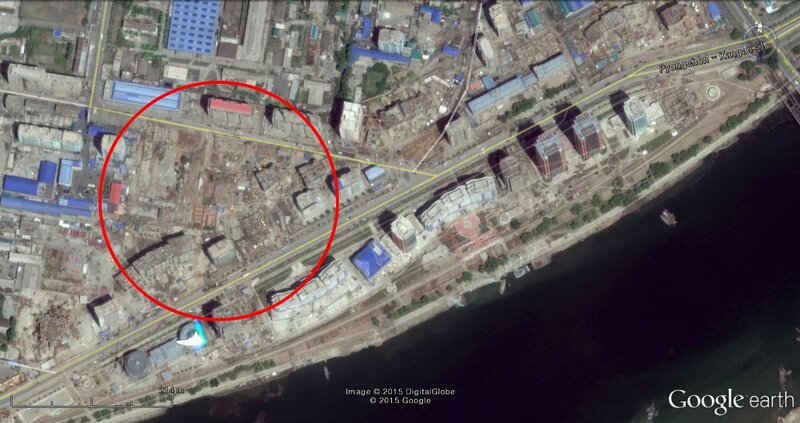 A Google Earth image from May 21 showed Mirae Scientists Street as not even close to completion. 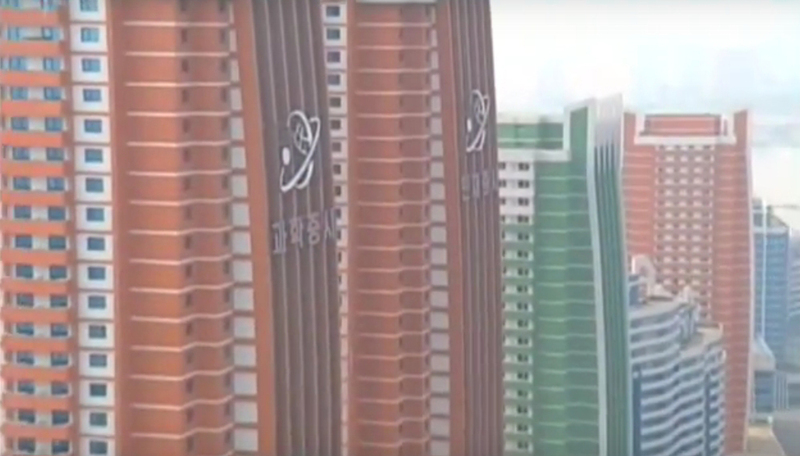 While the residential buildings near the Taedong River were close to complete, the metal beams and incomplete cement floors of other buildings could clearly be seen from outside. 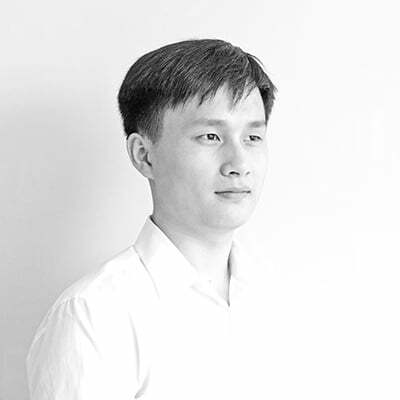 Jung Eun-lee, a researcher on the North Korean economy and real estate at Kyung-sang University provided a possible explanation for how the facilities could be completed less than six months later. “There are three types of methods for how the construction businesses are conducted in North Korea,” she said. 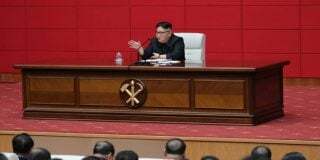 Jung explained, that as the wealth of North Korean officials and Donju grows bigger and bigger, they are cooperating to invest in domestic construction deals to increase their wealth. 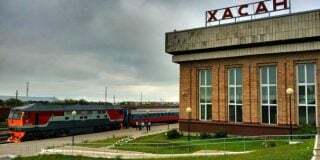 “As the price of raw materials has sharply decreased, resulting in the loss of profit for many North Korean trading companies, there has been some movement of North Korean investors trying to invest money in the domestic construction business, which has been blooming all over North Korea,” she said. Jung even speculated that foreign funds may have been involved in Pyongyang’s new high-rises.